ABOUT: The lives of two mob hitmen, a boxer, a gangster's wife, and a pair of diner bandits intertwine in four tales of violence and redemption. 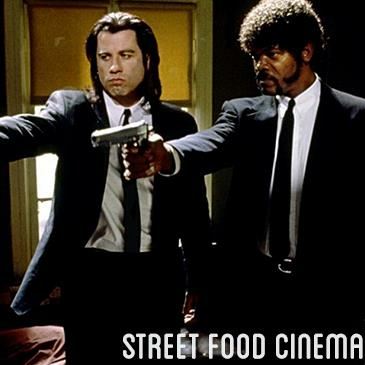 LIVE MUSIC: Visit www.streetfoodcinema.com/pulp-fiction/ for the most current Live Music listing! FOOD TRUCKS: Visit www.streetfoodcinema.com/pulp-fiction/ for the most current Food Truck listing!